Ever felt frustrated because you cannot do the tasks which previously seemed natural to you? Do you ever miss getting out of bed without the pains and the aches? Are you worried that you are being a burden to the ones you love? Don’t be. Our home health care professionals from Sierra Pride Home Healthcare Agency will be your support. They will assist you in performing daily routine and tasks. They are very compassionate individuals that will be there to extend their hand to guide you. They are also skilled in assisting mobility and transportation transfers. They have also received training with regards to effective food administration. Any patient under the care of a physician. A patient who cannot leave home unassisted for required medical care. 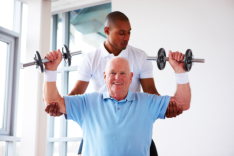 A patient who has a need for skilled nursing care, Physical therapy or speech pathology services. We will assist you in determining your insurance coverage and how we can best assist you. For your questions and concerns, please contact us at 586-576-1930 or Contact Us online. We will be happy to respond to your inquiries.